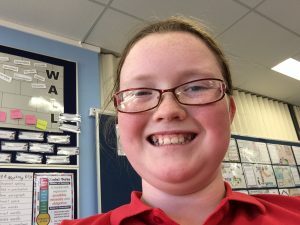 Hi my name is Ariel and yesterday was Harmony Day and I am going to tell you some facts about Mauritius. Did you know that Mauritus was the only place to find the Dodo bird but sadly they are now extinct😥. 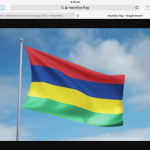 This picture below is the flag from Mauritius and each of the colours mean something important to Mauritius. The red is all of the flame trees. The blue is the ocean.Yellow is the sun shine. Green is the sugar cane. I hope that you found these facts interesting.Stay tuned to see other topics on the blog. 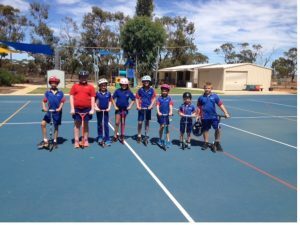 All three class have been to Mad Monday by themselves but on the 27th of March the whole school brought their scooter’s and had fun for the whole of lunch. When we were thirsty we rode our scooter’s to the water foutain out the front and parked in front of it. Then we would drive off back to the basket ball court. The yr3/4/5/6 class having their turn for Mad Monday. On Monday ,it was Mad Monday.At lunch we ate our dinner then the whole school, except for some people went on their scooters,rollerblades and rollerskares.Most people went on thier scooters but I was on my rollerblades. This picture is of the 3-6 class on thier scooters. 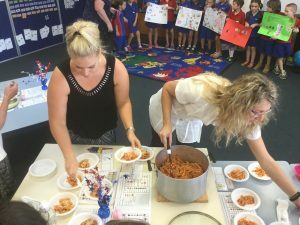 Mrs Morrison and Sylvia serving the pasta for the yr Pre-primary and 3/4/5/6 class. This is Sylvia from Itally. She was invited to the 1/2 class. The 1/2’s did everything, they cut the bacon and made the sauce. When they were finished, it was the best thing I have ever tasted, the cheese made it even better. At the end of the day the 1/2’s showed us all the work they did. They talked about the money and how it is called Euros. They told us about the food and we tried to count the numbers 1 to 10 in French, it was hard. They made these A3 posters with a heap of information on they. 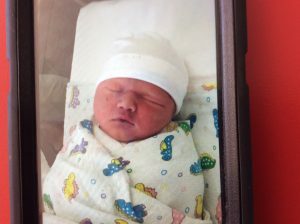 On the weekend I went to Geraldton to see my new baby sister. Her name is Ruby and her middle name is Isobel. Mum gave me some football cards. Hi this is Ariel here and did u know I went to Perth on Friday. On Saturday I went to Perth College to do some tests to win a scholarship. That day on our break I met a new friend named Ruby. After going to Perth College I went to Aqwa and the sting rays there are gigantic!!!!!!! That weekend was amazing. By the way I did more than one fun activity not just going to Aqwa.